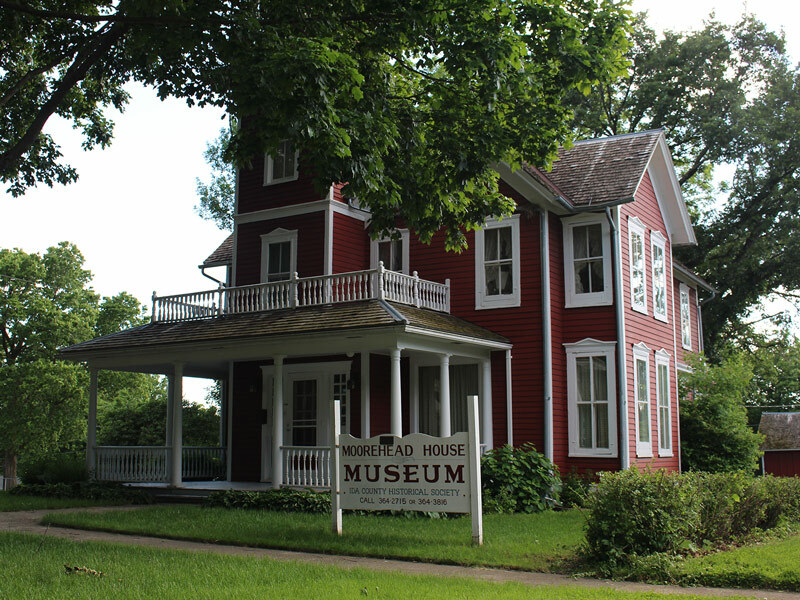 Ida County Historical Society Museum. All preservations are accomplished through local donations and grants. It is open two days a week in the summer, and by special appointment at other times. The Historical Society hosts an open house every year during the Christmas season. The Moorehead House was constructed in 1883 by the sons of one of the first settlers here. It was turned over to the Ida County Historical Society in 1982 with the stipulation that it would be restored in the form of a museum. It was restored to take visitors on a real-life tour of the late 19th Century in pioneer America. A complete tour takes 1 1/2 hours. Contact Vi Witte at 712-364-2070 to set up your tours.